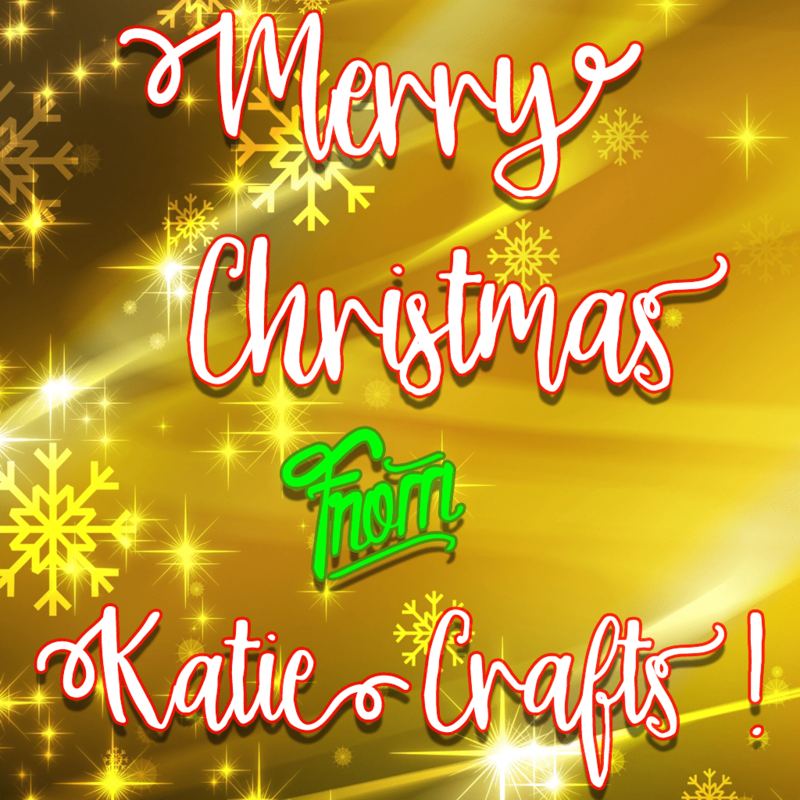 Merry Christmas, Katie Crafts readers! I hope Santa brings you everything you wished for today and that you have a wonderful day with your family and friends! Have the happiest of holidays and I hope your Christmas is merry and bright! Saturday is Caturday! Here’s a pic of Lucky laying under the tree, after having pulled off an ornament to play with! Flashback to Spud snuggled up on the Christmas stockings, not giving a damn about Christmas! Here’s a cute little throwback to Mabel dressed as a Christmas tree! Mew mew mew!